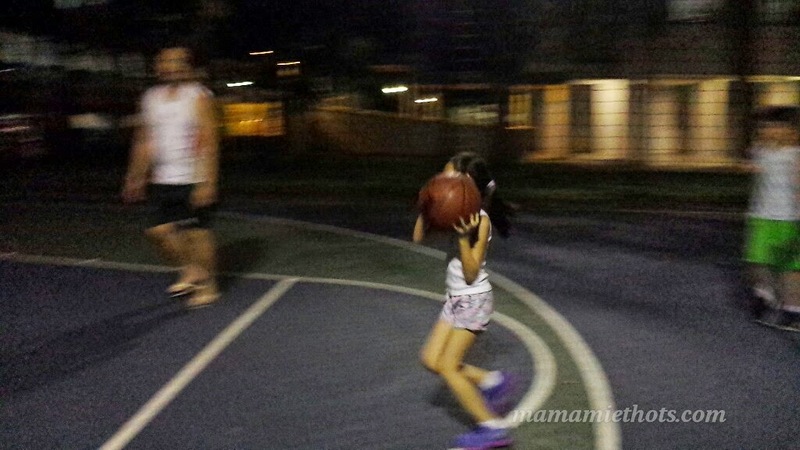 ~Mamamie's Thots~ Singapore Parenting and Lifestyle Blog: We had a BALL of a time! 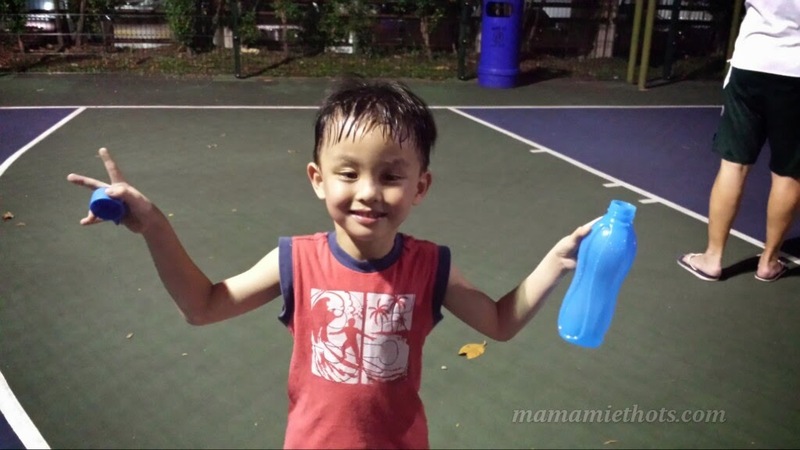 We had a BALL of a time! The kids were busy mugging for their coming exams at home and the youngest one had been playing too much ipad. 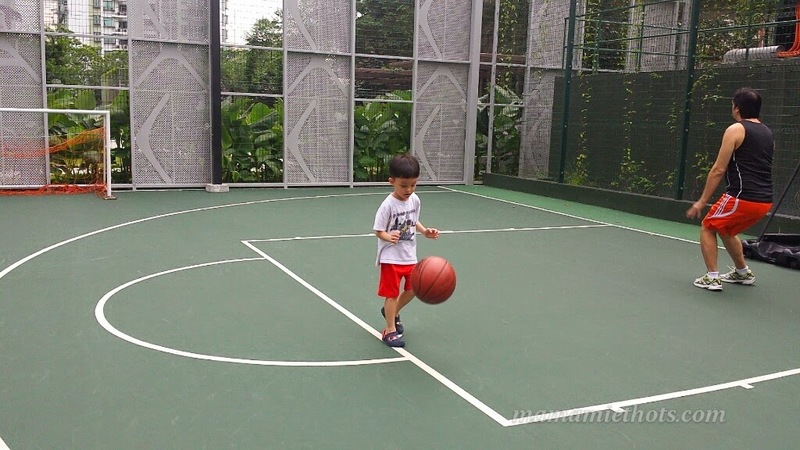 Just so happened that hb bought this basketball at a very good deal and decided to let them to have some workout session at the basketball court. 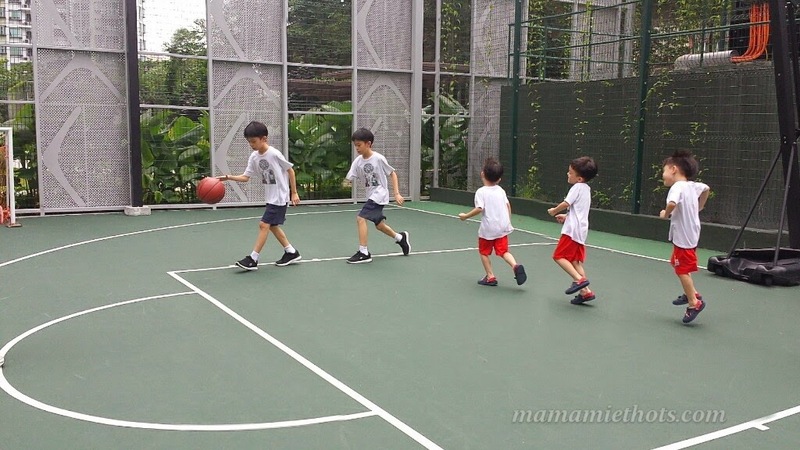 Of course the master coach is none other than hb, who used to play basketball so regularly during uni days and stopped for a very long time due to a minor injury a few years ago. 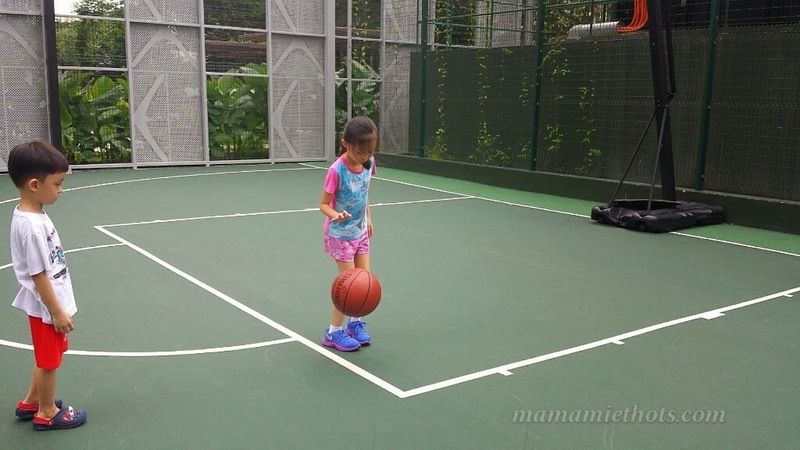 They learnt to dribble the ball, chest passing the ball and shoot the ball into the net. 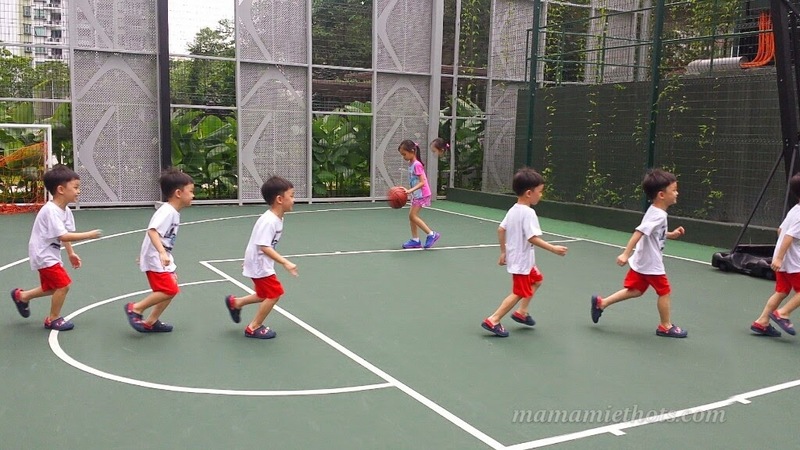 Hopefully they can master the technique slowly and able to play the game properly with their father in future. Although there was some crying and squabbling involved during the game but no one was hurt and everyone had a ball of a time!